Some of you will be going back to class or starting somewhere new next week, and that’s very exciting! Check out our tips to make your first day a breeze. Get ready. Be sure to have everything you’ll need for your big day packed and by the door the night before. This way you won’t forget anything ! Show off that smile! A smile can go a long way in helping to make new friends at your new school. Stay calm. It’s normal to feel shy or worried when you’re starting somewhere new. Just remember, there are other kids in your class that feel the same way! Fuel up! Try and eat your all of your lunch and snacks while at school. Eating right will give you enough energy to last the day. Drink lots of water, too! Safety first. Remember to always look both ways when you’re crossing the street or getting off the bus. 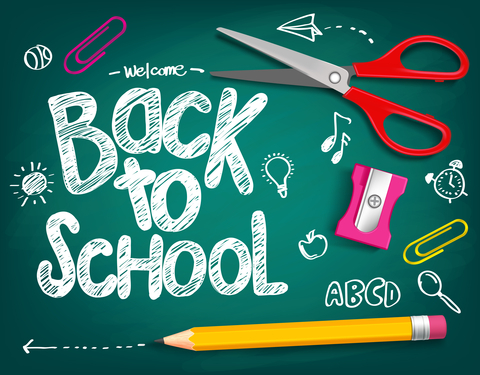 September chickaDEE is all about back to school!